Read historian Maureen Ogles review of the book here. The world is more interested in issues surrounding agricultural and food issues than ever before. Are pesticides safe? Should we choose locally grown food? Why do some people embrace new agricultural technologies while others steadfastly defend traditional farming methods? In the debates about organic food, genetically modified organisms, and farm animal welfare, it's not always clear what the scientific studies are actually telling us. 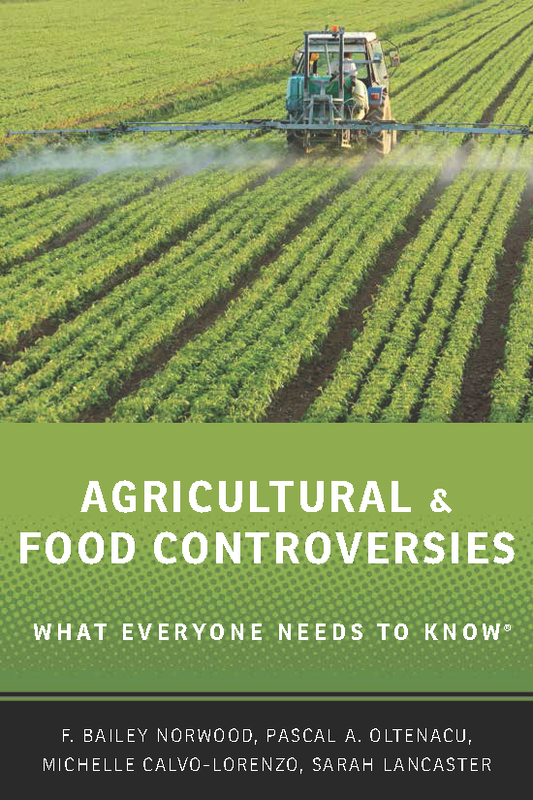 To understand these controversies and more, the authors of Agricultural and Food Controversies: What Everyone Needs to Know begin by encouraging readers to develop an understanding of how two well-educated people can form radically different opinions about food. Sometimes the disputes are scientific in nature, and sometimes they arise from conflicting ethical views. This book confronts the most controversial issues in agriculture by first explaining the principles of each side of the debate, guiding readers through the scientific literature so that they can form their own educated opinions. You may order it on Amazon here.